Born in the Philippines and immigrated to Victoria at ten years of age. I started my apprenticeship at Melbourne’s then Radisson President Hotel in Queen Street at the age of 20. 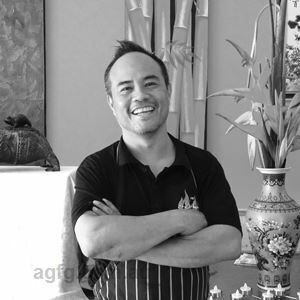 Following that I worked at Southbank’s River Seafood Grill, The Point Albert Park, Simply French in Armidale, James Tans’ acclaimed The Mandarin Duck, Palazzo Versace Gold Coast and the luxurious Bedarra Island Resort. 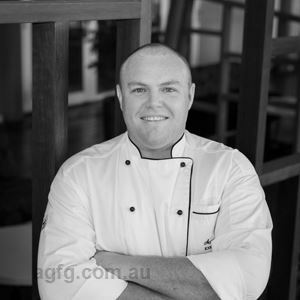 My career has allowed me to work alongside many acclaimed Chefs including Ian Curley of The Point Albert Park, Dean Cambray of Simply French in Armidale, James Tan at The Mandarin Duck and Eric Pages at Palazzo Versace Gold Coast. 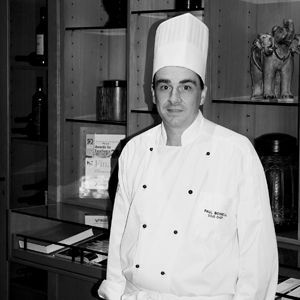 In 2002, I moved to Cairns and C’est Bon Restaurant as Head Chef for the original owner, Michel Bonet. C’est Bon was Cairns’ only authentic, classical French restaurant at that time. 2004 saw the start of a 2 1/2 year stint in South East Asia attending Master Classes and working at the renowned ‘The Three Elephants’ in Luang Prabang, Laos, after which I returned to Cairns as Head Chef at Villa Romano with a team of 22 Chefs. Now settled in Cairns with my family, my knowledge and love for all different Asian food has led to the 2015 establishment of Mr Soy Boy. As a child I always helped my Mum cook and prepare food. We had a stall at the monthly Wangaratta Farmers’ Market and we would prepare hundreds of dim sims and spring rolls and mountains of fried rice the day and night before to take to market. I then went on to enjoy cooking classes in high school. As cooking was considered for girls at that time in the late ‘80’s / early ‘90’s I tried my hand at different trades including carpentry and plumbing. I appreciate the methodology of the classic French techniques that I trained in, however I have discovered my own style which incorporates a broad knowledge of different cuisines into my own Asian Fusion style. I love creating fresh flavours with Asian ingredients like lemongrass, kaffir lime, ginger, coriander and galangal. As a young Chef I was inspired by Marco Pierre White, not only was he the first Chef under age 30 to achieve 3 Michelin stars but he redefined the restaurant culture by not caring about the titles, accolades and awards, instead wanting to focus simply on the food. My other influences have been directly from those who I have worked with, being primarily Dean Cambray of ‘Simply French’ who was inspirational as he had trained with the top international Michelin Chefs at the time and also James Tan of ‘The Mandarin Duck’ who taught me the traditional Chinese methods of creating my own roast meats including my Mandarin Roast Duck. 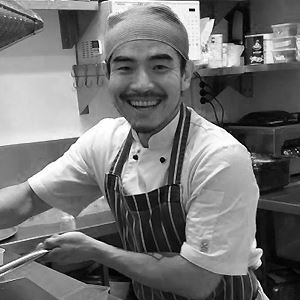 I am proud that we create everything on the Mr Soy Boy menu inhouse from our dim sims and dumplings to our housemade Lap Cheong ‘Chinese sausage’ and roast meats including Mandarin Roast Duck, Crispy Skin Pork Belly, Honey Soy Poached Chicken in masterstock and all of our accompanying sauces and pickles such as Atchara. Our open kitchen means I can interact with the customers and love hearing that they have enjoyed their meal. At Mr Soy Boy we aim for ‘mouth-watering’ menu dishes rather than eyebrow raising! Crispy Pork Pata - Twice cooked pork knuckle with beanshoot salad, nahm jim dressing and chilli, soy, garlic dipping sauce. Take a trip down Mulgrave Road in Earlville to eat where the locals eat at Mr Soy Boy. 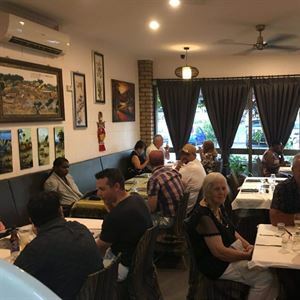 Be seated alfresco on balmy nights, or inside among a relaxed and inviting dining room space, styled with traditional decorations of bamboo wall artwork, comfortable air conditioned seating and full table service. A modern bar with a range of beers, wine and spirits will keep thirsty throats at bay, alongside an authentic modern Asian menu. Sample tasty entrée options of hand rolled duck and vegetable spring rolls with chilli plum sauce; or perhaps flash fried salt and pepper calamari, Szechuan pepper and fresh lime. Satisfy ravenous hunger pangs with Tablelands beef tenderloins, onions and capsicum in black bean sauce, or spicy sambal King prawns, super greens and red peppers, with steamed jasmine rice.